Zydeco music is one of the only musics that is still being supported by the indigenous people that created it…. We have to know where we come from so we can always be cognizant to keep that a part of what we are doing. So we can add digital music, we can add guitars, we can add keyboards, we can add all of that stuff as long as we remember to keep the essence of the creole music in it. Because once we lose it then it’s just regular old pop music. 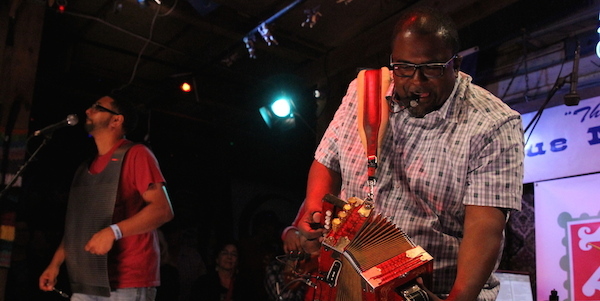 Zydeco music demands your attention. it demands that you get in there and do something to respond to what it’s making you do…. When zydeco music is playing you’ve got to move something. Even if you don’t have rhythm, that toe is gonna be tapping. And that is my definition of zyde-COOL music! Listen to the full interview segment below and learn more about what Creole United is doing with zydeco here.